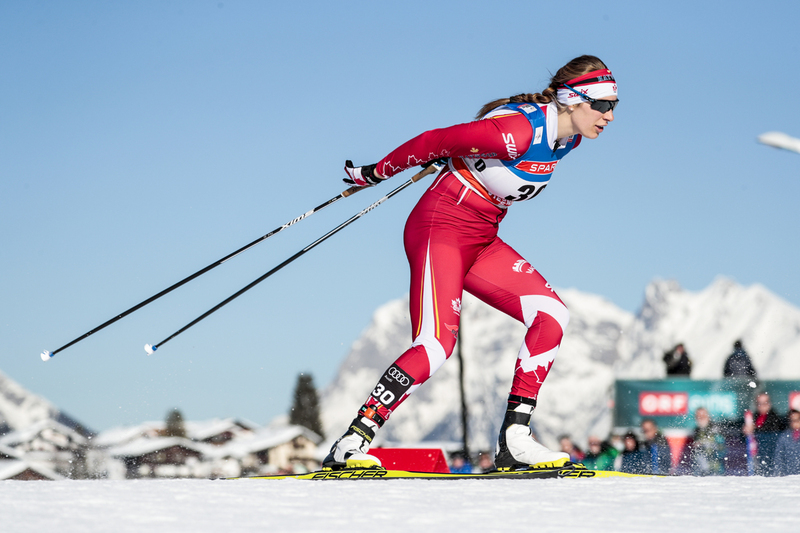 Cross Country Canada (CCC) has begun a reboot process as the new Olympic cycle starts. Corporations call this a reset, a rebranding, a new direction, restructuring, and various other names that try to disguise the challenges and issues that come with enacting real change. The reboot process traditionally starts with an acknowledgement that the current level of success, and that of the foreseeable future, doesn’t align with the goals or the potential of the organization. Canada left PyeongChang with no medals at three consecutive Olympics, only one skier in the World Cup red group, and a perception that there was no obvious successor to Alex Harvey. There are many people who, with the benefit of hindsight, believe that CCC allowed itself to be trapped by a combination of success and the Own The Podium (OTP) funding model. The process of assigning blame for the past, called “blamestorming”in the corporate world, is one of the most effective ways to waste time and destroy morale without doing anything to improve the future. The “best practices” approach to a reboot starts with four apparently simple questions: How did we get here? Where are we now? Where do we want to be in five years? How can we get there? While CCC does many things as a national sport body, this article will focus on high performance and the development system. After a disastrous 1998 Olympics in Nagano, CCC shrank to a full-time staff of five and endured a forced re-invention. Four years later, in 2002 at Salt Lake, Beckie Scott won all three medals in the skiathlon after the initial silver and gold medalists were caught doping. 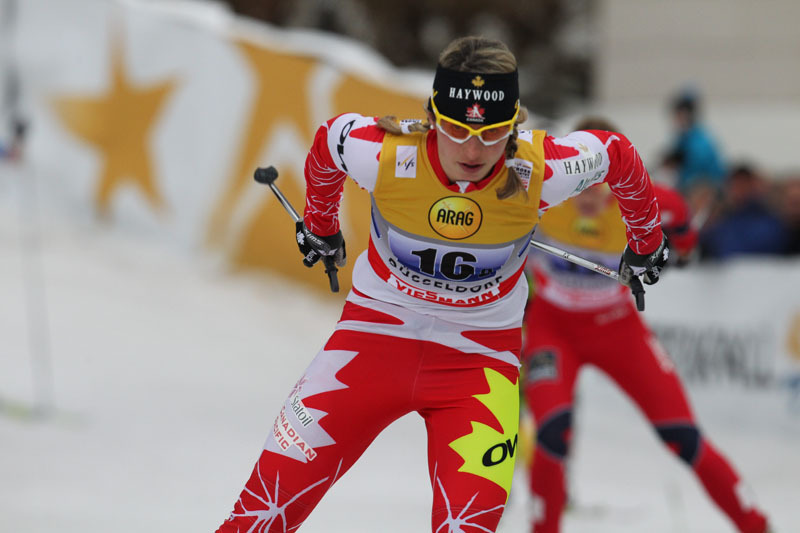 Sara Renner missed the B final in the sprint for 9th place. In 2006 in Torino, Chandra Crawford earned a surprise gold in the sprint while Scott finished fourth. Scott had earlier teamed up with Renner for a team sprint silver medal. In 2010, there were no Canadian cross-country medals. However, there were signs of promise. Renner skied to her fourth Olympic top-10 finish. All four Canadians competing in the men’s skiathlon finished in the top-15. Devon Kershaw lost out in final kilometer of the 50 k to finish fifth, 1.6 seconds away from gold. That post-Vancouver glow was possibly the point where CCC temporarily slid off the rails. A number of Canadian sports fell victim to OTP incentives. A sport qualifies for OTP funding by having good prospects for a medal in the next Olympics. The money comes with strings attached, to ensure that resources are spent on improving the probability that specific individuals will podium. For smaller sports where the OTP money is a significant proportion of the sport’s annual budget, it is hard to make choices that put that money at risk. Choices like balancing the emerging athletes in the pipeline, while simultaneously supporting those athletes already at the top-end of the sport. As a result, many sports have lost their OTP eligibility by losing the focus on development and the vision that qualified the sport for OTP in the first place. Some people put cross-country skiing in the list of sports that fell into this trap. After 2010, the future looked bright. Harvey and Kershaw were World Champions in the 2011 team sprint. Kershaw was second overall in the 2011/2012 World cup. (A feat only equaled in North America by Scott and Jessie Diggins). Harvey arrived at Sochi in 2014 as a medal favorite. He was fresh off a World Cup podium in Toblach the weekend before the 2014 Games began. Sochi ended poorly when Canada, along with Norway, couldn’t solve the difficult waxing conditions. The results in PyeongChang were similar to 2002 numerically: Harvey was close to a medal in multiple races and Lenny Valjas collected 7th in the classic sprint. A medal would have changed the mood, but not overall situation. Post-PyeongChang, CCC believes Canada is not achieving the international results a country with plentiful snow and 37 million people is capable of. The development system in Canada consists of the National Team, the official training centers (Centre National d’Entrainment Pierre Harvey (CNEPH), Thunder Bay National Team Development Centre (TBay), and the Alberta World Cup Academy (AWCA)), and the clubs. The ten provinces and three territories have teams, but don’t have a formal place in the development system as each of the thirteen regions approaches development support differently. In the last few years, the number of clubs actively recruiting and developing athletes while supporting a high performance team has increased. For our purposes, as no official name has been affixed to these clubs, the term ‘elite club’ will be used here. In the past, all national team members were required to belong to a training center while developing athletes were encouraged to join. The landscape is more diverse now, with more options. The examples that follow skew to Western Canada, largely because the coaches quoted brought teams to Sovereign Lake snow camps in May and November and were available for in-person interviews. Eastern Canada remains equally diverse in terms of its club offerings. A common theme among the coaches and athletes is that each athlete’s needs are different, and he or she needs to find an environment that fills those needs. FasterSkier asked AWCA’s head coach Chris Jeffries how an athlete should choose his or her path to success. In 2017, a shift to allow more development paths resulted in new senior National Team member Gareth Williams staying at his home club, Telemark, in Kelowna, BC. Elliot described how it came about. Also in 2017, Julien Locke returned to his home club Black Jack while Russell Kennedy shifted to the new Team R.A.D., part of the Canmore Nordic Club. To further illustrate the spectrum of options and pathways, FasterSkier contacted three Canadian athletes, each with a history of NorAm podiums and some international success, to discuss their ski-training choices. Dahria Beatty started at AWCA and has remained there, Evan Palmer-Charette started at TBay then recently moved to Team R.A.D., and Andy Shields has gone rogue. AWCA is also the home training group for National Team skier Emily Nishikawa and two junior national team skiers. AWCA also benefits from its close proximity to a number of other training groups. Palmer-Charrette made a summer-time decision to change things up by finding a fresh environment in Team R.A.D. Shields is no longer affiliated with an official team. He funds his skiing by painting houses in the summer and representing ski wax companies in the winter. 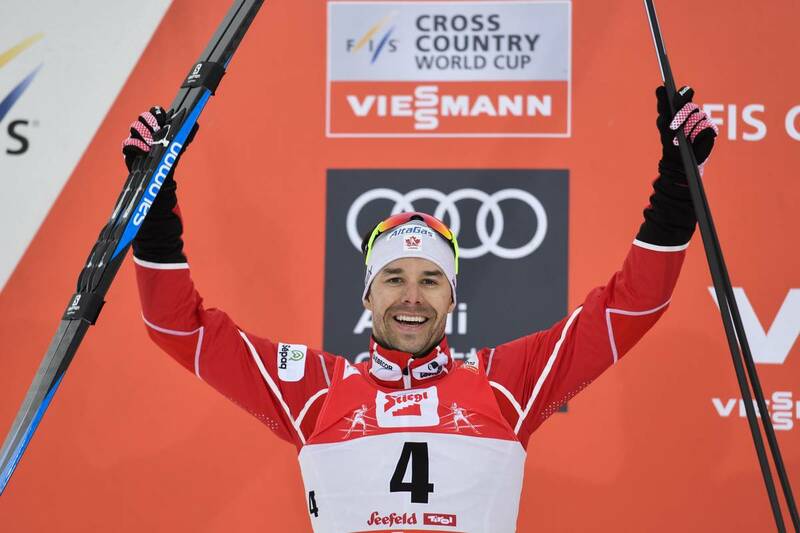 Although he refers to ski racing as a hobby, he did end the last season as COC leader and will race period 1 of the World Cup. Shields did reflect and offer an alternative to how he might have changed his path to elite level skiing. The Canadian university system differs from the U.S. model, offering little money for sports. Heading south to the U.S. as a student-athlete remains an option for some Canadian skiers. Most athletes remain in the Canadian system to develop. With that in mind, FasterSkier asked why some athletes had chosen some of the Western based training centres. Jeffries, who leads the AWCA, also noted how his program has evolved. There appears to be room at the AWCA for those with concurrent goals. The AWCA has partnered with the University of Calgary to allow AWCA athletes to work towards degrees. Elliott, based in the Okanagan, said his program offers athletes a well rounded experience too. Clearly the times have changed from a programming perspective and the past’s financial windfall for Canadian cross-country skiing. Former CCC High Performance Director Tom Holland spoke of those larger commitment from clubs during the Frozen Thunder races in October. Thee deep question remains: what next for Cross Country Canada as it ponders a post-Alex Harvey scene? Better and more diverse options for Canadian skiers, like those modernizing their offerings to connect with the student-athlete, is a step forward. But fans of the sport, and of course Cross Country Canada, have short-term and long-term goals. No one wants to see another Olympic quadrennial transpire without the glimmer of medal potential at the international championship level.